Today I look and feel like crap. Now we’ve conquered your moisturiser issues, let’s move onto your base. You know it’s important, right? Right. I’ve always had a mare because I’m so pale so these are really my favourite things and a few of my BeautyMecca buddies too. It’s good to do a straw poll of six on anything and call it consumer research. Coming in top of the tree are two products I actually love dearly, id Bare Minerals foundation and Bobbi Brown Oil Free Foundation. They both give great coverage, both come in a variety of shades as to satisfy Paley McPale through to Tanny McTan. I’m feeling a bit Scottish today. 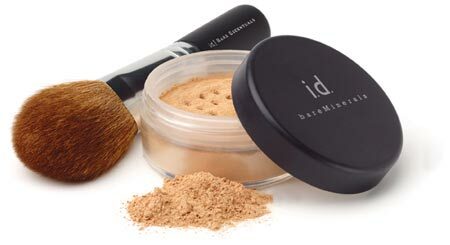 I love Bare Minerals because it has fabulous buildable coverage and I feel like it’s genuinely good for my skin. 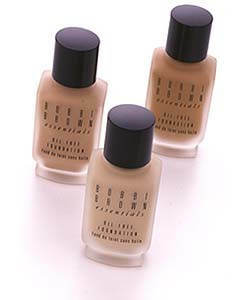 If I’m after something a bit more solid and traditional or I’m travelling, I’ll always go Bobbi Brown. 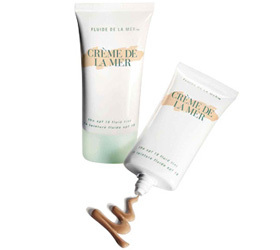 If you’re after a tinted moisturiser (and I often am) I’d go for Stila if you’re looking for a reasonably priced product that works or Creme de la Mer if you’re looking for a splurge product that makes you look like you drink diamond laced water for breakfast, lunch and dinner. It’s great. Concealer-wise, I’m less easy to please. 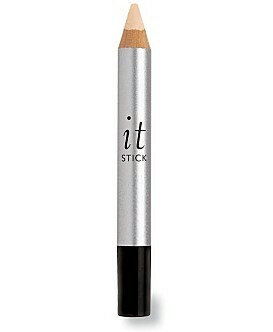 I will mention Rimmel Hide the Blemish because it resides in so many of your make-up bags but for me, it’s only BeneFit’s It Stick that does the job. I Love It. Buy one now. For under eyes, I like Korres Vitamin Concealer and I’m not alone. I lent it to a true Touche Eclat devotee and she’s switched! Go crazy, try it yourself. For powders, I’ll be quick. Prescriptives Magic Liquid Powder is the coolest thing ever. It’s a powder that turns to liquid on contact with the skin thanks to a massive water content but it does away with the shinies, doesn’t look cakey and is just wonderful. Buy it now. For compacts, I like BeneFit Get Even in 01 because it’s lemoney and evens out my red skintone. Ideally, I’d go for Dr Feelgood because sometimes honey, you don’t need powder, you just think you do! Blushers are a bit trickier as I could go on ALL DAY. For true portability and versatility, I would look no further than Stila Convertible Colour. There’s absolutely one (or six) that are right for you, they’re pretty and they work. Who could ask for more? 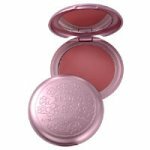 Stain-wise, I’m a Benetint freak as you know but I also like Daniel Sandler’s Watercolour Blush. It’s super pretty and doesn’t cane your cream carpets (sorry, mum). Back tomorrow with primers and eyes then on Friday it’s lips! !